A passion for protecting the environment is at the heart of Jacqui Ashworth’s work, which beautifully represents the natural world. 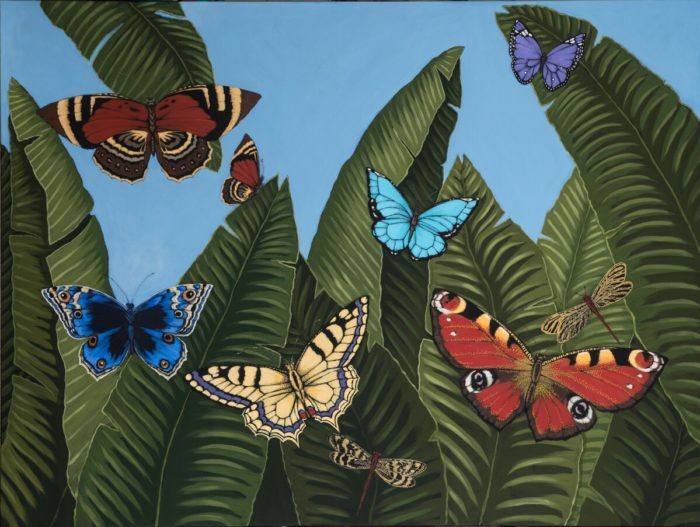 Her striking paintings feature butterflies, fish and tropical vegetation and are largely influenced by the work of the Impressionists, particularly Claude Monet, and the post-impressionist Henri Rousseau. 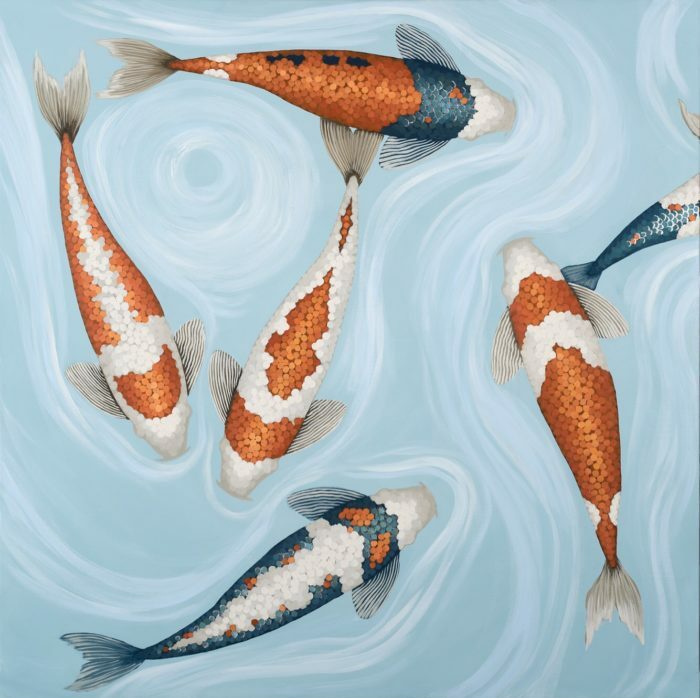 Her work also brings to mind the traditional Japanese art of Gyotaku (literally translated as “fish stone rubbing”), which dates back to the 1800’s when fishermen recorded their catches through basic printmaking. Originally from London, Jacqui studied at the Art Center College of Design in Pasadena, California. She worked for many years as a set designer and decorator for commercials and music videos in Los Angeles before moving to the Costa Del Sol, where she currently lives and works. Her paintings have been commissioned by clients in Los Angeles, Miami, New York, London, Edinburgh, Glasgow, and Madrid.